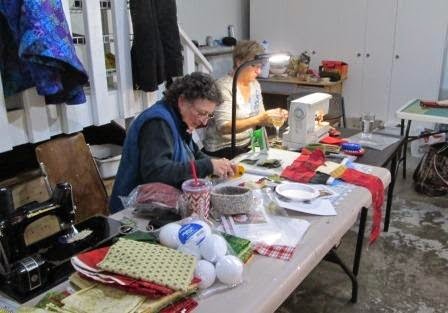 Last weekend my friend Laural hosted and quilting Retreat in her Garage. Her sister and 1 friend came from far away and stayed in her home over night. The rest of us ladies were local and went home to our own beds at night. Mom and I traveled together, the roads were bad as we got our first real snow. We had lunch and dinner together, and wow there was lots of good food. So we called the retreat a drop in retreat. I think she is doing it again after Christmas. I took my units I did last winter for the Celtic Solstice Mystery by Bonnie Hunter. 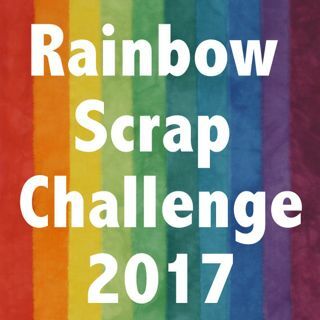 I want to do this years mystery but thought I needed to get more done on last's years mystery. 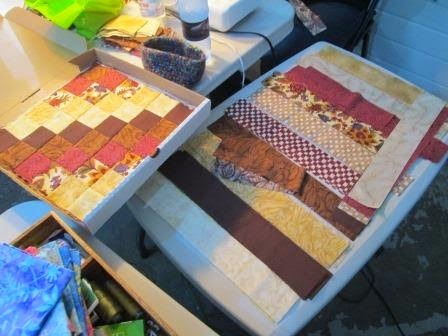 I only had one block done and all the units for the smaller quilt. Here is another Scrappy Trip around the world being worked on. Some Christmas projects were worked on. You can really see we were in the garage here. We were told to bring a lamp as the lights were not great in the garage, We every had one with a shade, made the place classy. Here is another great project in the works. Threase was working on it but did not want to be in the photo so Elizabeth is holding it up. After the weekend I got really busy and did some more blocks at home. I now have all the blocks done (plus 1 extra). I am hoping to get the top together this week. Bonnie is planning to start the Grand Illusion Mystery on Friday the 28th. I have not picked fabrics out yet. I am sure by the end of the week I will have a few fabrics in mind. I was worried I would have to buy some Yellow but I found one that I have about 2 m of. It is bright so I am sure the rest of my quilt will be bright too. 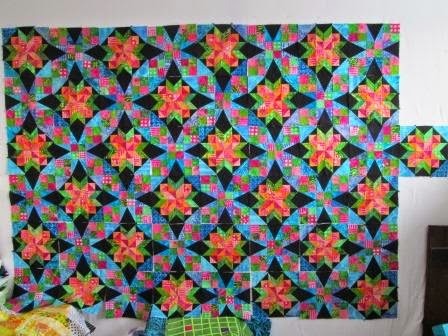 Will look forward to seeing your grand illusion quilt as it develops. This is a great way to spend a weekend with friends. Love your Celtic Quilt, the colours are perfect. I skipped that one (though I pulled the instructions as they were presented) but am ready ready ready for this year's Grand Illusion. 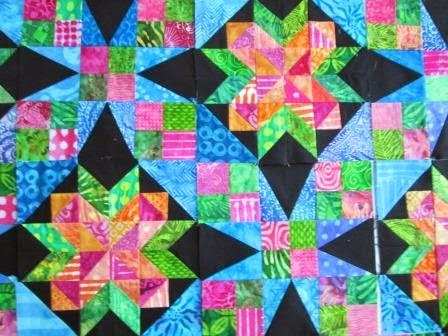 Such beautiful bright colours in your Bonnie Hunter quilt from last year, lovely. 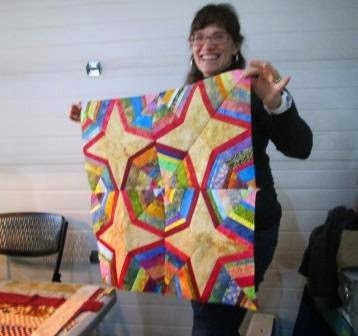 Look forward to seeing what your quilt will look like this year! Love the colours Bonnie came up, I seriously thought about it but decided to pass, however perhaps when I see everyone starting up I may think again. I love the black in your quilt. It just makes all the colors pop - so pretty. Good luck getting her finished! I need to pin and quilt mine. Wow. That turned out gorgeous with those lovely batiks!! 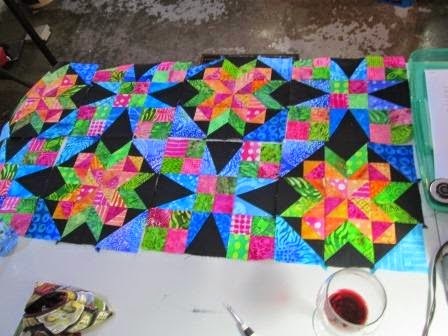 I think this is my favorite coloring of last years mystery quilt too!! 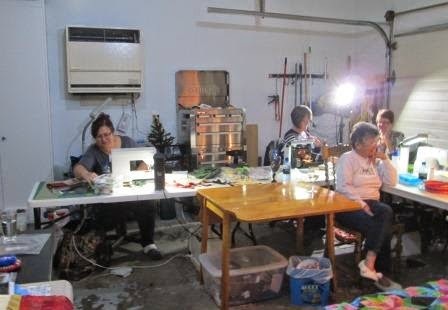 What a fun place to sew.